Nearly 50 ladies gathered Jan. 2 for Plastic Surgeon Dr. Ramiro Perez’s Ladies Night Out presentation. Dr. Perez, a visiting specialist at the Medical Center, sprinkled some humorous and entertaining stories among his more technical subject matter, which included information about a newer, non-invasive treatment called J-Plasma. This is a procedure that treats wrinkles, age spots and pigment irregularities, combining the properties of cold-helium plasma with Radio Frequency energy. For more information about Dr. Perez or to schedule an appointment, click here. Don’t miss Mens and Ladies Night Out on Tuesday, Feb. 5, with one of our new Visiting Specialists, Physiatrist Ronald Tolchin, D.O. Space is limited, so please RSVP to 305-367-6777. The two-hour event begins at 5 p.m., and complimentary cocktails and hors d’oeuvres will follow Dr. Tolchin’s presentation. For more information about Night Out at the Medical Center, click here. Did you know there are 24 documented sleep disorders? Dr. Edward Mezerhane, M.D., F.A.C.P., is a sleep specialist and a board-certified internist who will begin seeing patients at the Medical Center on Jan. 31. Dr. Mezerhane is a native of Venezuela who came to the United States as a child. 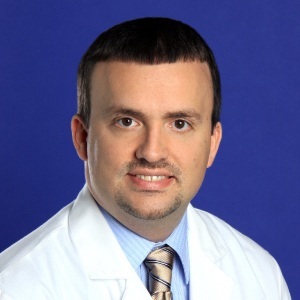 He graduated from the University of Miami’s Miller School of Medicine with Alpha Omega Alpha medical honors, and completed his internal medicine residency training at the University of Miami’s Jackson Health System. His background as an internist allows him to examine patients based on their overall needs for more comprehensive care. This is essential when diagnosing a patient with sleep disorders. To schedule an appointment with Dr. Mezerhane, click here. Jorge Cuello, M.D., F.A.C.C., is also new to the Medical Center’s Visiting Specialist program. 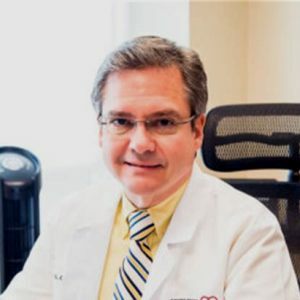 Dr. Cuello is a board-certified cardiologist and has been practicing general and invasive cardiology in the South Florida community for more than 15 years. He received his bachelor’s degree from the University of Puerto Rico and his medical degree from the University of Puerto Rico Medical School. 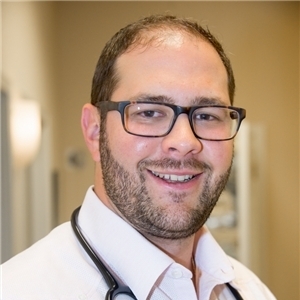 He trained in internal medicine at Texas Tech University’s Health Sciences Center in Lubbock and completed his fellowship in cardiology at the University of Texas Health Sciences Center in San Antonio. Dr. Cuello is part of the South Miami Heart Specialists group and will see patients at the Medical Center beginning Jan. 23. To schedule an appointment with Dr. Cuello, click here. Mark your calendar: The next lecture in this season’s Medical Center Lecture Series takes place Tuesday, Jan. 2, when Dr. Paul Keck, Jr., president and CEO of Ohio’s Lindner Center of HOPE, will present “The Addiction Crisis and Solutions.” For more information about Dr. Keck’s lecture and other lectures this season, visit the Lecture Series page.